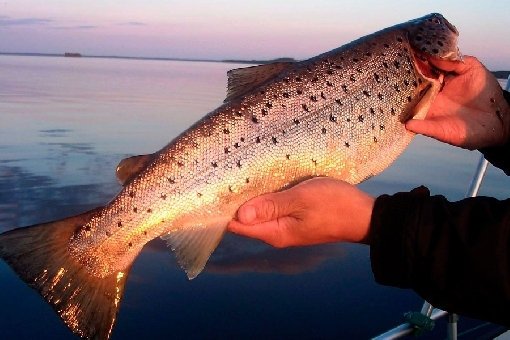 Trout are active at sunrise and sunset. This is how Provincial Agronomist A. Th. Europaeus describes the eruption of Lake Höytiäinen into the downstream Pyhäselkä area of Lake Saimaa in 1859. As a result of this level-lowering operation that got out of hand, the lake's water level dropped by 7.5 metres within a couple of weeks. Later on, the lake's level was lowered by a further couple of metres. This is how the surface area of Lake Höytiäinen was reduced by one third, while its volume of water was more than halved. Depth chart (zoom in to view depths). 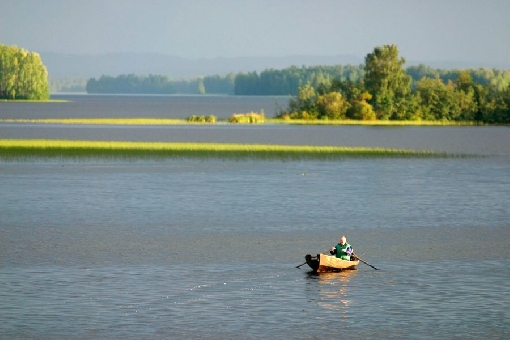 This 15th largest lake in Finland flows between the Pielinen and Saimaa lake basins to the north of the City of Joensuu. As a result of the level-lowering operation carried out to gain more agricultural land, one of the largest lakes in Finland shrank substantially. The operation did not, however, wipe out all the waters and fish. 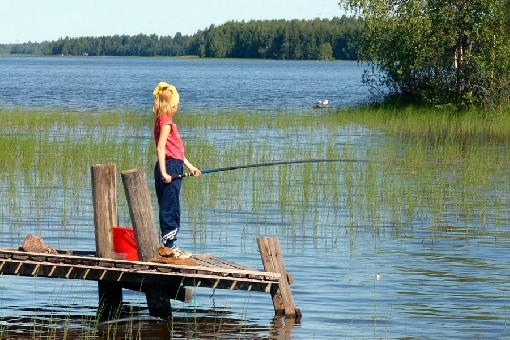 Today, Lake Höytiäinen represents a varied and fascinating water area for fishing and nature enthusiasts. 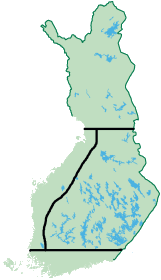 There are three large oblong bay areas in the northern part of Lake Höytiäinen: Rauanlahti Bay, Ruvaslahti Bay and the bay waters of the Reposelkä mid-lake area. Their water is rich in humus with a visible depth of no more than couple of metres. These lush and shallow bay waters host splendid pike spots. The Jänisselkä area is a good pike site and you can also find big pike in the southern mid-lake area. The largest pike on record caught from Lake Höytiäinen weighed 16.5 kg. 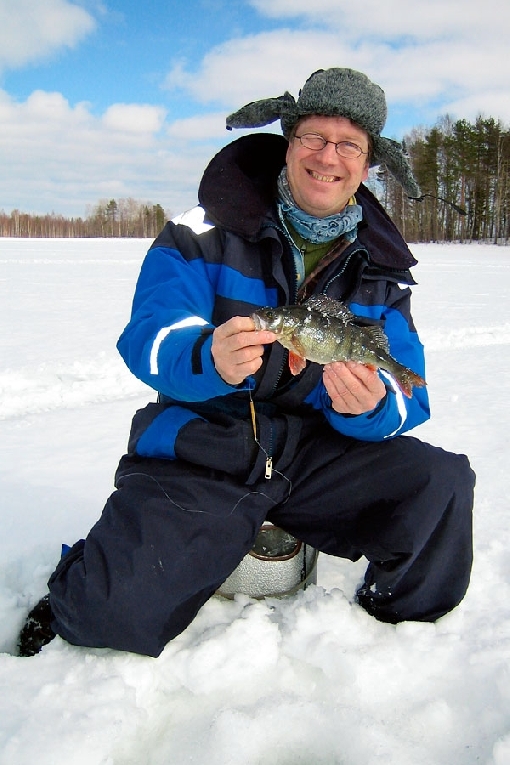 You can also combine other interests with a fishing trip to Lake Höytiäinen. The northern part of Lake Höytiäinen is a good reproduction area for zander. Zander have also spread to the limpid mid-lake area of the lake's southern part, which is low in nutrients. The zander stock is good and a typical catch is a 1.5-kilo specimen biting at a bank of deep waters in summer conditions. Examples of potential zander fishing sites include the Jänisselkä mid-lake area, Jängänniemi Point, Karhusaari Island and the northern side of Jouhtehinen Island. 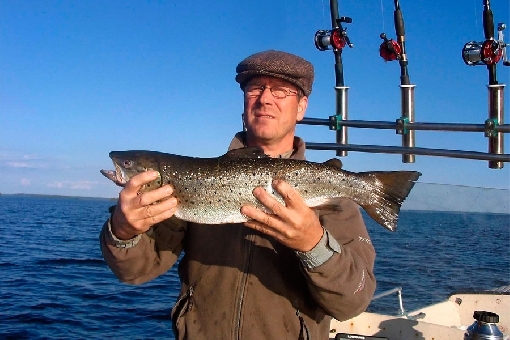 Landlocked salmon and brown trout thrive in the deep areas of the lake's southern part and catching a specimen weighing a couple of kilos is not uncommon. 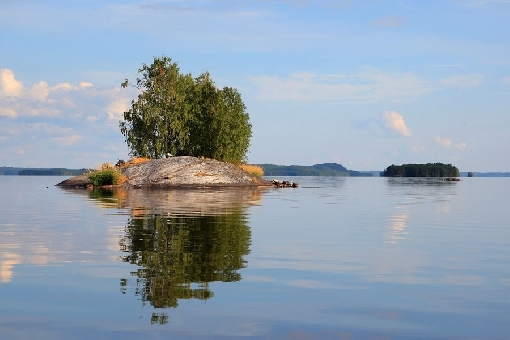 Good trolling sites include the tip of Jängänniemi Point, the flank of Kunnanniemi Point, the Tarmanluodot islets and the stem of Kontioniemi Point. The enchantment of the wide open lake and handsome fish. The stock of big perch has grown in numbers in recent years and you can catch whoppers weighing 300 to 500 grams using jigs in bay waters and, in particular, on the flanks of mid-lake islets at 6 to 10 metres in summer. Good perch spots in the early season include the Porttisalmi and Katinsalmi sounds in Huhmari and the sound of Teerisaari Island. 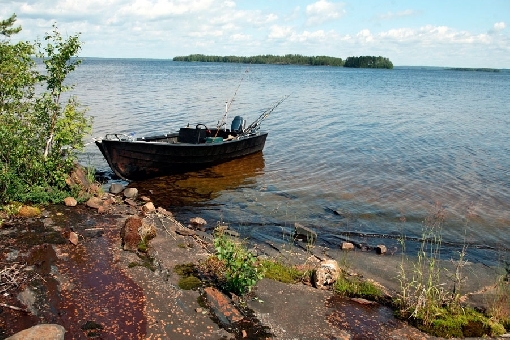 Lake Höytiäinen has varying bottom contours and there are plenty of good fishing grounds. The numerous islets and shallows are great jigging spots. Burbot can be found throughout the lake area, but the average burbot is rather small. The northern bay waters offer splendid settings for angling bream and other cyprinids. The shallow bay waters in the northern part of Lake Höytiäinen are swarming with pike. Selkäsalmi Sound, Rauanlahti. On the shores of Kuussaari, Jere and other mid-lake islands, your fly or spinner may be snatched by a lake-dwelling grayling. The original grayling stocks disappeared with the level-lowering operation, but it has been restored through restocking. In late winter, anglers go in for ice-fishing whitefish from under the ice on top of deep waters. Catches mainly represent the small slow-growing variety of whitefish. The Varparanta area is a popular ice-fishing site. 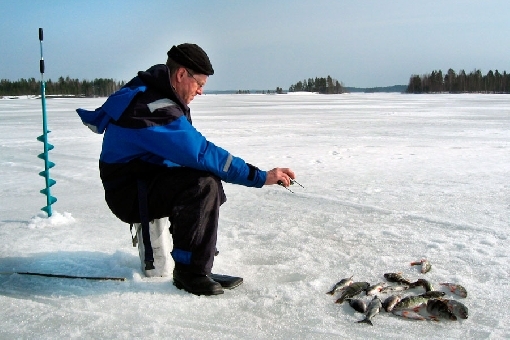 A good catch depth for perch and whitefish in the Kuussaarenselkä mid-lake area of Lake Höytiäinen is 12 to 13 metres. Most of the islands in the varied island area of Lake Höytiäinen were formed as the result of the level-lowering operation. There are rugged islands with cliffs and rocks, beautiful oblong ridge islands and lush islands dominated by deciduous trees. Formations typical of Lake Höytiäinen include the so-called 'hogbacks' or islets which are glaciated rock on the northeast sides and rough and craggy on the southeast sides, in line with the direction of ice erosion. Beautiful sandy islands off the shore of Huhmari are Haapaluoto, Hanhiluoto and Leipäluoto. Another unique feature of the island area is created by the so-called two-layer islands, formed as a result of the level-lowering operation, where the old island rising in the middle is circled by the alluvial land like a brim. The largest island, the 7 km long Teerisaari Island, is inhabited all-year-round. 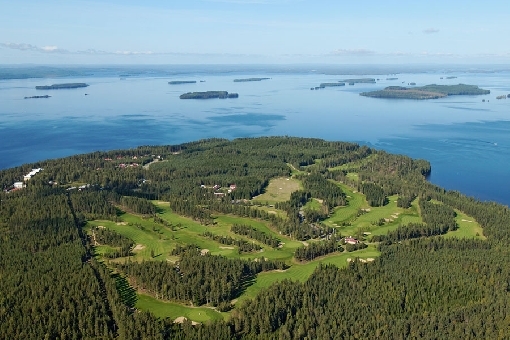 There are fascinating fishing grounds around Kalliosaari Island and Jussinluoto Islet. Kontionlahti harbour and Huhmari Holiday Centre are good places from which to launch your boat. 2. 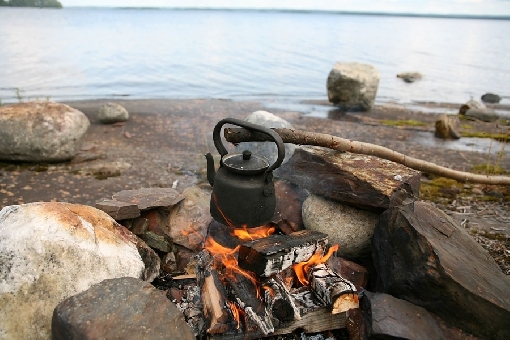 Anglers and hikers are free to use the old fishing saunas, of which there are a total of seven on islands such as Jere, Munatsu and Sikosaari. 3. The diverse Joutehinen ridge island, resembling a swan, with its 60-metre Sirnitsanharju ridge top, an important landmark for those moving around on the lake. 4. The labyrinthine Sisuslahti Bay penetrating Teerisaari Island is a valuable reproduction site for birds and fish. 5. The most characteristic inhabitant on the shores of Lake Höytiäinen is the Formica cinerea ant.